The German American Partnership Program (GAPP) has existed at CLHS since 1985. It's an educational exchange partnership between Concordia Lutheran High School in Fort Wayne, and Zeppelin Gymnasium in Lüdenscheid, Deutschland. Each participating guest student is partnered with a student and his/her family in the host country. All German partners are students of the Zeppelin Gymnasium and live in the Lüdenscheid area (including the small nearby towns of Halver, Herscheid, Schalksmühle, usw.) All Fort Wayne participants must be German language students at CLHS. Our travel groups are limited to a maximum of 20 students per visit as selected by the GAPP coordinator for the respective school. An application is to be completed by each participant, which is then sent to the host country where they are paired with a host student. Learn more about the application and process by clicking the PDF below. 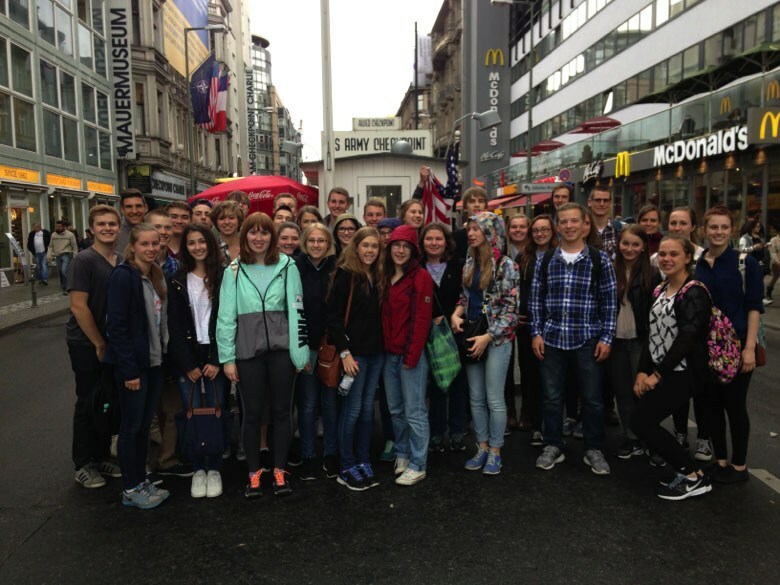 GAPP 2015: Combined Fort Wayne and Lüdenscheid Group at Check Point Charlie in Berlin. 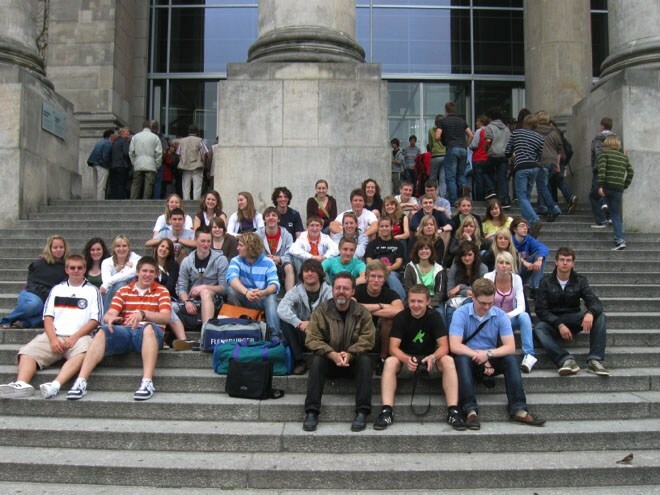 GAPP 2009: Fort Wayne and Lüdenscheid students on the steps of the Reichstag Building in Berlin. 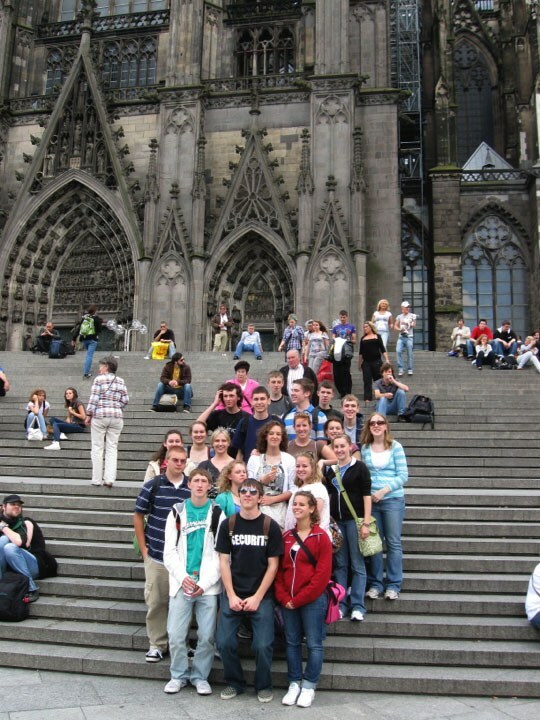 GAPP 2009: CLHS group just before entering the Cologne Cathedral in Germany. 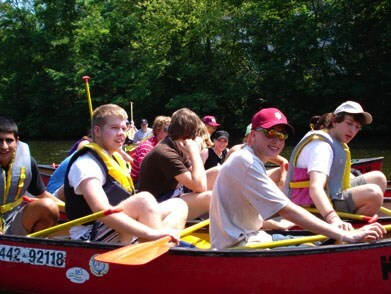 GAPP 2009: Fort Wayne group canoeing on the Lahn River. GAPP 2011: Fort Wayne students in front of the Kölner Dom. GAPP 2011: Fort Wayne students in the school yard in Lüdenscheid. 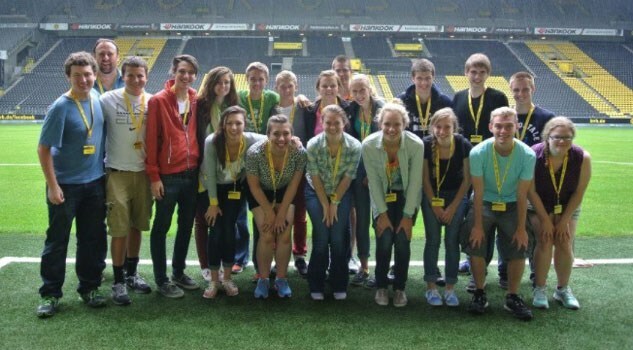 GAPP 2013: On tour at the BVB Stadium in Dortmund.